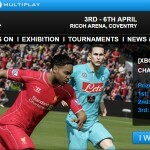 Great news for FIFA 15 fans, you will be able to play FIFA 15 at insomnia53 this weekend at the Ricoh Arena in Coventry! 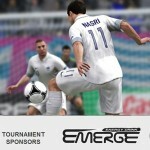 In association with Emerge, insomnia53 will be hosting free to play tournaments on the Friday, Saturday and Sunday, each with £150 up for grabs. To take part, visit the FIFA 15 tournament area at any time at the event and sign up with the FIFA 15 tournament admin team before 12:30. No entry fee or TUP ticket is required – just sign up and play on the day. 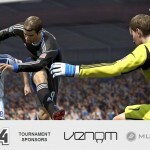 Maximum Teams: 64 Players Friday, Saturday and Sunday. To take part, visit the FIFA 15 tournament area at any time at the event and sign up with the FIFA 15 tournament admin team before 12:30. No entry fee or TUP ticket is required – just sign up and play on the day.